Tickets for the Robby Gordon Off-Road World Championships, presented by SPEED Energy, for Nov. 30-Dec 2 are available online. The three day event tickets can be purchased in advance for $70 or $130 for grandstand with a Sunday general admission $45. Racers and vendors can also pre-register by going online at http://stadiumsupertrucks.com/2018-glen-helen-registration/. 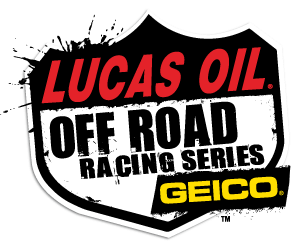 Registration is now open for the 2018 Robby Gordon Off-Road World Championships at Glen Helen Raceway, located in San Bernardino, California. This event takes place November 30-December 2, 2018. In addition to the Stadium SUPER Trucks, we will offer competitors the opportunity to enter and race for HUGE purses in Motocross (125/150 & Unlimited), UTV PRO (Production & Turbo), Off-Road Jump Contest & Freestyle MX. The 2018 Off Road Word Championships will feature 2 unique classes of Motocross; the Unlimited class will feature 250 2 Stroke vs. 450 Pro, and the 125/250 class will feature 125 2 Stroke vs. 250 4 Stroke Pro races. The best riders from all around the world will be on hand to battle for one of the richest purses of the year with the Unlimited Class battling for $20,000 cash to the overall winner, while the 125/250 MX riders will have their own $7,500 overall prize to go after. The UTV division will feature two different classes with the Turbo and Normally Aspirated cars. The two classes will be competing together for a large $10,000 to win overall prize. Also being contested over the course of the weekend will be a huge FMX Best Trick contest & an amateur Jump Contest that will be open to all pre-runners, desert and short-course trucks, buggys, cars, and UTV’s. Friday, November 30 – Practice & qualifying. Top 40 advance to weekend motos. Unlimited Class – $250 -> ONLINE REGISTRATION <- $22,500 purse, $20k to the overall winner! 125/250 Class – $200 -> ONLINE REGISTRATION <- $9,000 purse, $7.5k to the overall winner! Each class will have a 35-40 bike final. Production & Turbo – $250 -> ONLINE REGISTRATION <- $11,500 purse, $10k to the overall winner! Weekend = $250 -> ONLINE REGISTRATION <- $5,000 purse, $5k to the winner! Entry will include 1 weekend wristband for the driver, as well as one parking pass. Any additional weekend wristbands can be purchased for $70. All wristbands, parking passes, camping passes (if ordered) will be given to you at check in.